This show was broadcast on March 2, 2015. 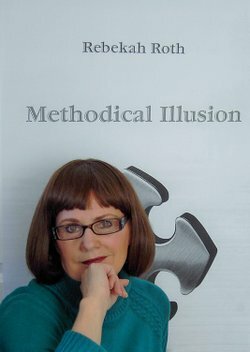 Rebekah Roth has written a fascinating book, as an historical novel, containing references to the inside players of 9/11, and in particular, her compelling theory of what may’ve happened to the planes and their passengers, as well as documenting invasive software in place during the time when the crimes of September 11th, 2001. QMR co-hosts, U.S. Army veteran, ex whistle blowing cop, and practicing criminal defense attorney David Meiswinkle and author/activist and cross country bicycle trekker for truth (for Architects & Engineers for 9/11 Truth) Pamela Senzee team up to explore and ask probing questions of Ms. Roth and her research. She may be onto something! We found the show generated more questions as well, and certainly, in the spirit of research we look forward to retired flight attendant and international pursor Rebakah Roth’s return to our show in an ongoing effort to explore the actual evidence of what happened on 9/11. This broadcast on No Lies Radio is followed by a show review conversation between David and Pam which will be available within twenty four hours of broadcast on our site at www.quantummatrixradio.com . This entry was posted on Monday, March 2nd, 2015 at 8:55 am	and is filed under 9/11, Censorship-Propaganda, False Flag/Fake Terror, Freedom, Justice, News, Protest, Quantum, War Crimes. You can follow any responses to this entry through the RSS 2.0 feed.